Jennifer Mastripolito joined New Mexico Breastfeeding Task Force as the Executive Director June 2018. She supports the Boards and program staff, provides resource and marketing communications development and implementation, and manages strategic planning. During the prior 14 years, Jennifer worked at United Way of Central New Mexico (UWCNM), where she most recently served as Vice President of Community Impact. In that role, she worked with staff, volunteers, agencies, and the community to create and build the organization’s impact agenda, resulting in restructuring, realignment, and a new initiative, Mission: Families. As part of the leadership team that developed the Education Support Initiative, Mission: Graduate, Jennifer supported community forums and worked with existing education-related collaborations and coalitions. Previously, Jennifer was the Chief Development Officer for UWCNM from July 2010 to February 2016. In that key leadership position, she led the Development Team in workplace campaigns, major gift solicitation, and donor retention and engagement. She also contributed to UWCNM’s implementation of the 2010 Strategic Plan, focusing on the integration of raising and distributing funds in more focused and measurable ways. Jennifer holds a B.S. in Public Relations from San Jose State University and an M.A. in Secondary Education from UNM. A U.S. Navy veteran, she has 30 years’ experience in public relations, marketing, teaching, and social service with concentrated efforts in successful program development as well as fundraising. Monica Esparza has been serving families as a breastfeeding peer counselor for more than six years, providing peer to peer support to breastfeeding mothers through the WIC program both individually and in the hospital setting. She has served as co-chair of the Greater Albuquerque Area Chapter and on the Board of Directors for the New Mexico Breastfeeding Task Force and helped establish the Workplace Liaison Program to support businesses to become Family Friendly. She believes in supporting communities and establishing a supportive system where all families are able to achieve their own breastfeeding goals. Christine Kamm is an accounting professional with over thirty years of experience in financial and regulatory reporting and analysis. She graduated from the University of North Carolina, Chapel Hill with a BS in business administration with a concentration in accounting. She worked in public accounting for the first five years before taking a year off with her first child and went back to work part-time as finance director for YWCA of Albuquerque. In 1999, Christine established a home-based accounting firm, specializing in financial consulting and reporting for small businesses and nonprofit organizations. Kathy is an RN and holds a Master's Degree in Nursing Administration. She has specialized in helping expectant and new families for more than 35years. 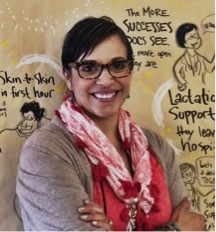 She completed her undergraduate work at the University of San Francisco and became a Lactation Consultant through UCLA where she was trained by the best in the field. Kathy has assisted several hospitals in becoming Baby Friendly and was the administrative leader for Presbyterian Hospital’s Baby Friendly Initiative where she managed the Health Education and Resource Center overseeing Prenatal Education, High Risk Perinatal Case Management, Lactation and Doula Services. 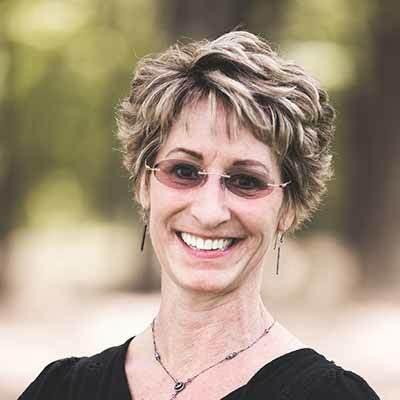 Kathy has been in private practice as a Lactation Consultant for more than 25 years, has authored many health education materials, designed course curriculums and taught physicians and nurses in a variety of settings. She has written and administered several grants servicing seniors, as well as families and children totaling more than 3 M dollars and brings a wealth of community collaboration and experience to the NMBTF. She was instrumental in opening a Mother Baby Wellness Center which cared for more than 150 new families each month, and has facilitated 6 hospitals in their quest for achieving the coveted Baby Friendly Designation, authoring educational materials for both parents and professionals and designing classes focused on the special needs of new parents, dads and grandparents. She loves teaching nurses, students, professionals and doctors about issues related to Women, Children and new families and has taught many lactation and certification programs over the years. She has also worked extensively with hospital NICUs to facilitate the patient experience and improve breastfeeding outcomes. Kathy has 5 grown children and 11 grandchildren (includes one set of twins). These little ones put a smile on her face each day and keep her intimately connected with infancy and the challenges new moms and dads commonly experience! In her spare time Kathy enjoys traveling to see her family and friends, reading and doing something she’s never done before (like a 130 mile bike ride in Maine when she hadn't been on a bike for 10 years). Though she has worked in many states, Kathy enjoys working with the unique needs of New Mexico and is excited to lead her team in improving breastfeeding outcomes in hospitals throughout the state. Marianna was born in San Diego CA but has lived in Farmington NM for 15 years. She loves spending time outdoors appreciating New Mexico’s natural beauty. She was inspired by her mother’s passion for normalizing breastfeeding and with her support found the resources to breastfeed her 3 sons while she worked in the food and retail industries. She is currently pursuing her degree in business administration. She is grateful for the support she received from her husband, mother and the rest of her family over the course of five years breastfeeding her twins and their older brother. She is honored to have the opportunity to share her experience and continue to spread a culture where breastfeeding is the norm, not the exception. Maria Teresa Bautista Cassidy-Begay has worked as a nutritionist dietitian for more than 25 years in the Philippines and New Zealand and has always been an advocate for breastfeeding. She would love to do the same in her new home, the United States of America, specifically here in northwest New Mexico, specifically as a breastfeeding workplace liaison. She enjoys working with moms and their babies and feels it has been a huge blessing to teach moms and help them and their babies stay healthy. Amy Myszko is a Certified Lactation Counselor as well as holding a Master's degree in Lactation. She is currently finishing her IBCLC mentorship hours and intends to achieve her IBCLC certification in 2019. Amy has a robust background in herbalism and nutrition as a Certified Clinical Herbalist, which she brings to her clients in her private Holistic Lactation Therapy practice. She is also a WIC Breastfeeding Peer Counselor and the Lead BPC for the Northeast Region, which has been an amazing way to gain experience in the field of lactation and serve at-risk families here in Northern New Mexico. She has recently started volunteering as a lactation counselor for the Breastfeeding Behind Bars project, which supports incarcerated women to breastfeed and/or provide breastmilk for their infants. Amy is originally from Colorado and has lived in and around the Española valley since early 2016. She is passionate about creating a world in which biologically normal birth and successful breastfeeding are the norm. She has two beautiful daughters, aged 4 and 6, who were breastfed for a total of 40 months. Her youngest daughter was a 29-week preemie and it was a long, difficult struggle to breastfeed, which ultimately led Amy into the field of lactation support. 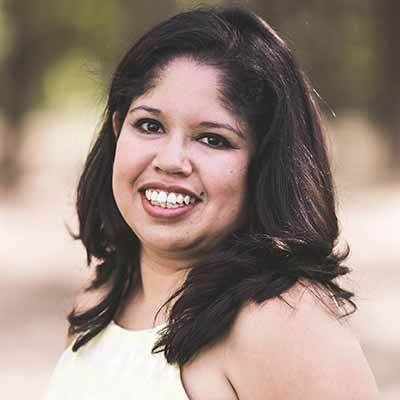 Michelle Amaya-Schmidt is a native New Mexican who grew up in Albuquerque, NM and is passionate about empowering women about their own personal health and wellness. As mother of two children under 4 she has had the opportunity to expand her scope of work to include Lactation and Maternal and Infant Health. She is Adjunct Faculty with the UNM Health Exercise and Sports Science Program and teaches Community Health classes to undergraduate students. She holds a Bachelors in both Criminology and Psychology from the University of New Mexico and earned her Masters degree in Community Health Education, with Distinction in 2015. Michelle is also a veteran and has served in the Army for over 18 years and currently is a Preventative Medicine Specialist with the New Mexico National Guard Medical Detachment. As a WIC Breastfeeding Peer Counselor and Lactation Educator at UNM Hospital she supports new moms with their breastfeeding goals by providing support and resources during their stay at the hospital. Her specialty areas include Lactation, Maternal and Infant health, suicide prevention, resilience and emotional health and wellness. She is also a trained birth doula and has been a member of the NMBTF since 2016. Jessica Marquez loves the idea of helping families reach breastfeeding goals to be healthier. Her passion for breastfeeding began while working as a nutritionist for the WIC Program at her local clinic. She served her community as team leader for two peer counselors, giving her the opportunity to work with breastfeeding needs at different levels. She enjoys sharing her knowledge to assist in normalizing the idea of breastfeeding within all cultures and communities. She has three wonderful kids of her own. Born and raised in the southwest, Jessica is very familiar with those communities. She has bachelor's in community health from New Mexico State University. Jessica has been with the Task Force since October 2016, supporting the southern region and chapters. Karla Radosevich has been a postpartum and newborn nurse for more than 10 years and works as a certified maternal newborn nurse and clinical practice leader on the mother/baby unit for Presbyterian Hospital. She has been in lactation services for more than three years, serving as a lactation consultant for two. She is a baby-friendly champion for Presbyterian Main Hospital, a designated baby-friendly hospital since 2015, and assisted with training processes for the baby-friendly designation. As a New Mexico Breastfeeding Task Force clinical consultant, she promotes hospitals in the state of New Mexico to expand training and achieve baby-friendly status. She has been with the New Mexico Breastfeeding Task Force for three years as a committee member for the annual conference, as well as baby-friendly staff. She is attending graduate school for a master's in nursing education and plans to graduate in 2018. She has two daughters that were both breastfed and a passion for educating communities about the benefits of and normalizing breastfeeding. Siboney has proudly lived and grown up in New Mexico, surrounded by culture and diversity. As a mother of three boys and over 6 years of combined breastfeeding, Siboney is passionate about familial health and bonding. Siboney was accepted into the advanced standing program at New Mexico Highlands University and graduated in 2013 with her Master’s Degree in Clinical Social Work. After spending much of her college internships in clinical settings, Siboney developed her desire for working with infants and their families. Siboney has been working with a local hospital for the last 4 years as a licensed masters social worker, primarily in the Family Birthing Center and Neonatal Intensive Care Unit. Siboney has also been with the NM Breastfeeding Task Force since early 2017, as a Clinical Implementation Specialist. Working with maternity and infant care facilities across the state, Siboney strives to support the Baby Friendly designation process. This role allows her to identify and cultivate strategies to fill gaps in current policies and community support. Siboney feels internally inspired to contribute towards the development of community encouragement and support for breastfeeding. Kimberly Smetzer, RN, IBCLC, started working with new breastfeeding mothers and after her daughter Tiffany was born. Breastfeeding was much harder than she had imagined and she really thought of giving up. The amazing support she received while breastfeeding her children is the driving force behind where she is today. Since graduating from nursing school in 1999, Kimberly has worked in two countries and four states while accompanying her military spouse. She has had the privilege of working in mother/baby, labor and delivery, and transition nursery positions. Kimberly is an International Board Certified Lactation Consultant, (IBCLC) and has been able to use that knowledge in all of her positions. Kimberly and her husband moved to Las Cruces in the summer of 2008. Since then, she has worked as a lactation consultant and nurse manager at Mountain View Regional Medical Center with a wonderful group of people that believe in the same principles. They are proud to one of eight baby-friendly hospitals in the state of New Mexico while setting a standard that makes baby-friendly and ten steps to successful breastfeeding the norm rather than the exception.